Royal India Jewelry is based in the city of Jaipur, India. We manufacture and export Diamond and Color-Stone studded Gold and Silver jewelry, along with polished Gemstones and Diamonds. We offer a wide spectrum of colors - white, black, brown, yellow, champagne, fancies and icy. In white, we work with marquise and pear shapes. 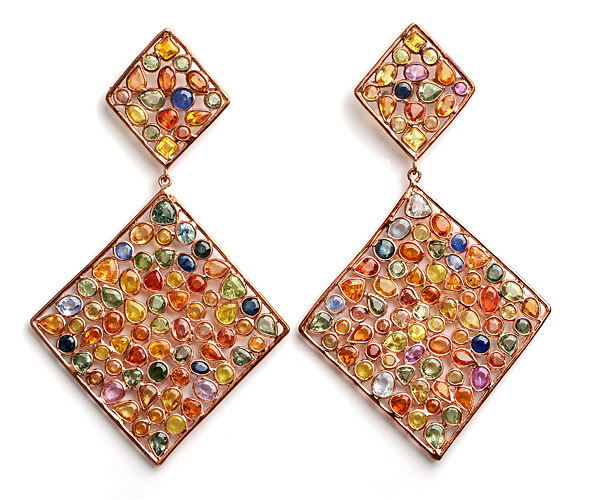 We also work with diamond beads, coated diamonds and briolettes. We offer Emeralds, Rubies, Sapphires, Multicolored Sapphires and Color gemstones such as Tourmaline, Aquamarines, and Tanzanite and other exotic gemstones. We manufacture 14K and 18K Gold Jewelry, enhancing the blend of Indian craftsmanship with age-old artistry and spirit. Recently we have started manufacturing Silver Jewelry as well. “Silver by Royal India” represents our combination of Gemstones and Silver with quality workmanship and unique designing.